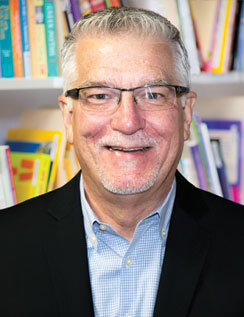 Tim Millen joined Center for the Collaborative Classroom with over 25 years of systems development and management experience in the software and retail industries. He launched his consulting business working with companies such as Nike, Adidas, and Hanna Andersson. Mr. Millen then joined a client as vice president of information technology at Francine Browner, which was purchased by BCBG a year later. Recruited by Bebe Stores, he guided technology growth for a worldwide chain. Tim left to launch a new local retail concept called Elephant Pharm. Five years later he restarted his consulting business, focusing on local Bay Area retailers. Prior to joining the Collaborative Classroom, Mr. Millen was the vice president of solutions consulting for Symphony EYC, a large enterprise software company focused on cloud retailing. Tim lives in Walnut Creek with his family and enjoys gourmet cooking.